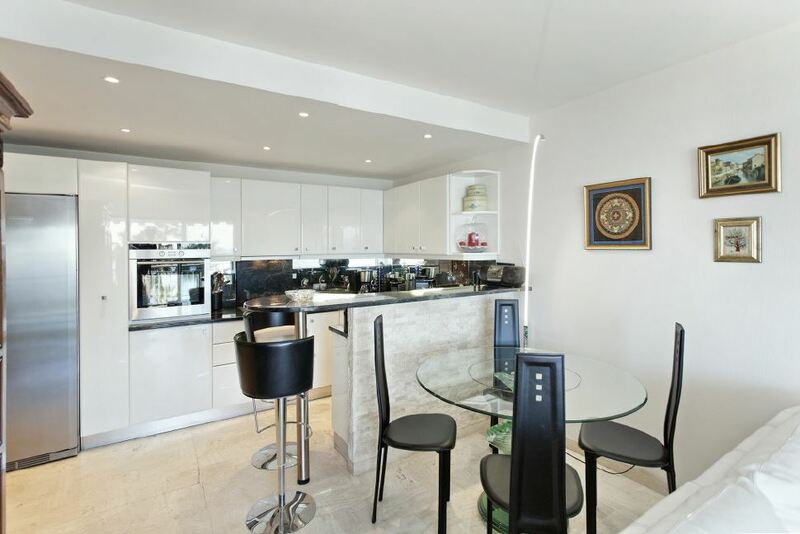 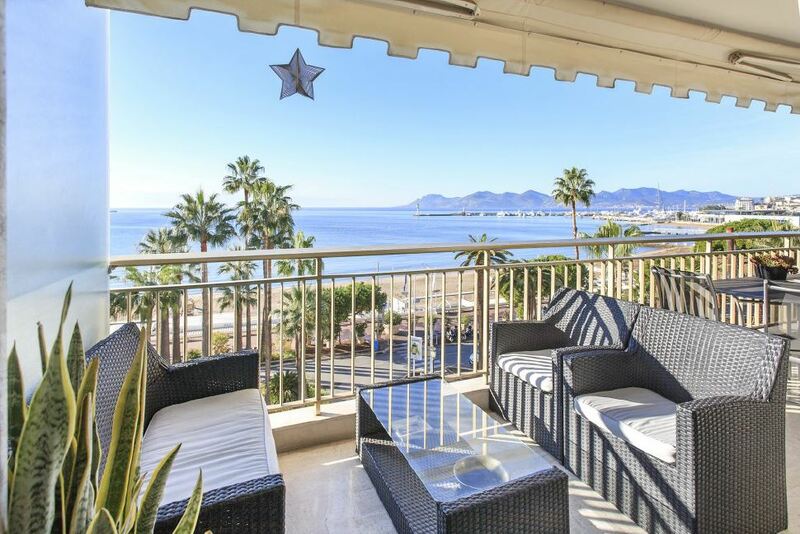 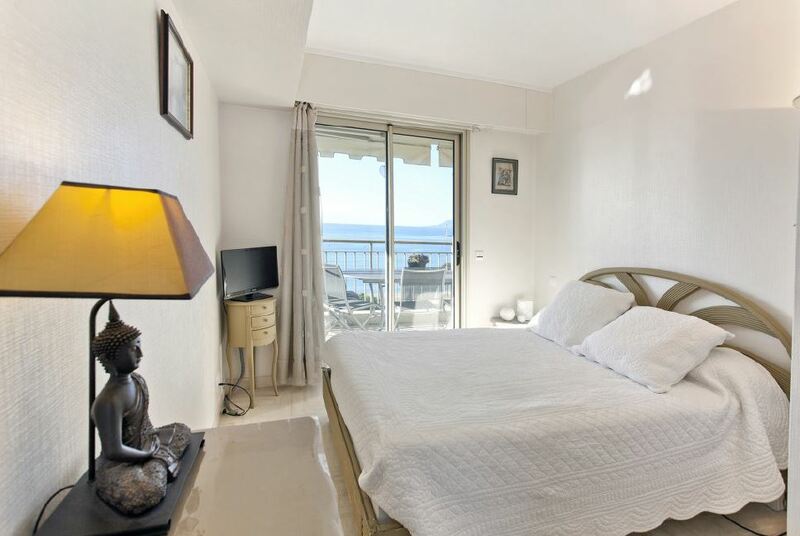 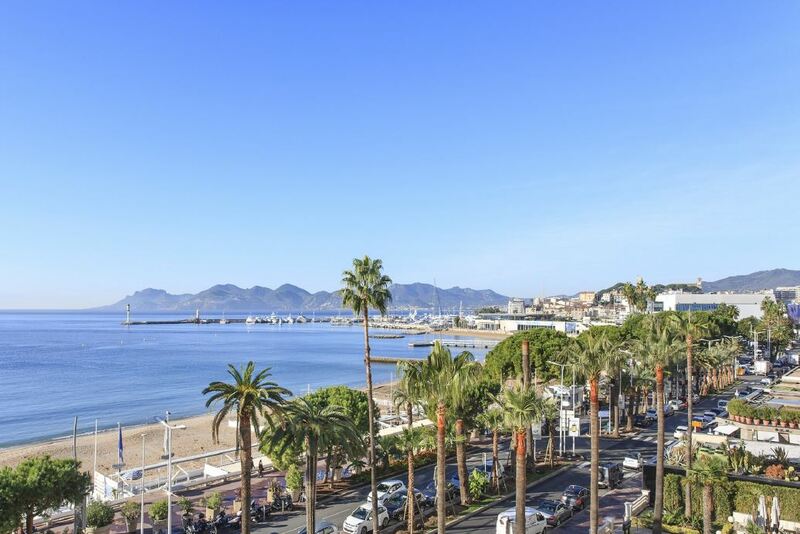 Located directly on the Croisette and within close proximity to the town centre of Cannes, the beaches and the Palais des Festivals, this fantastic 2-bedroom apartment provides beautiful panoramic sea views and tastefully decorated interiors. 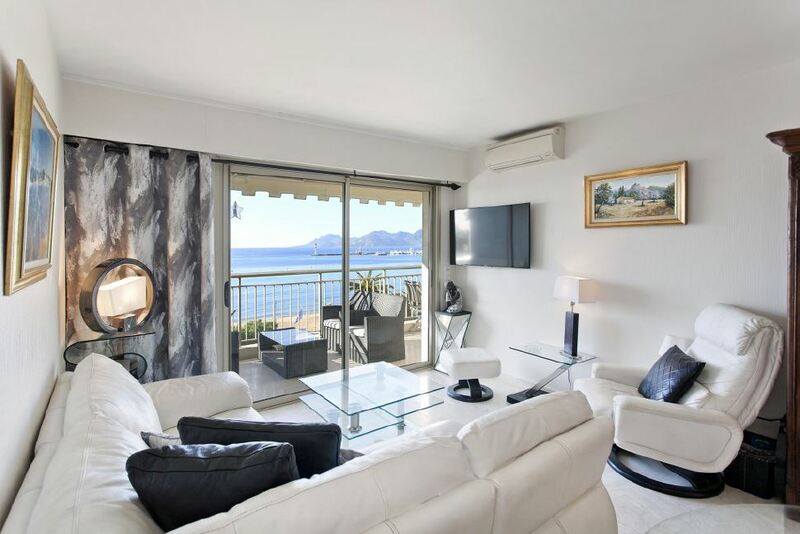 The property features a comfortable living area with a plush corner sofa and flat-screen TV, opening out onto a spacious furnished terrace to enjoy the spectacular views. 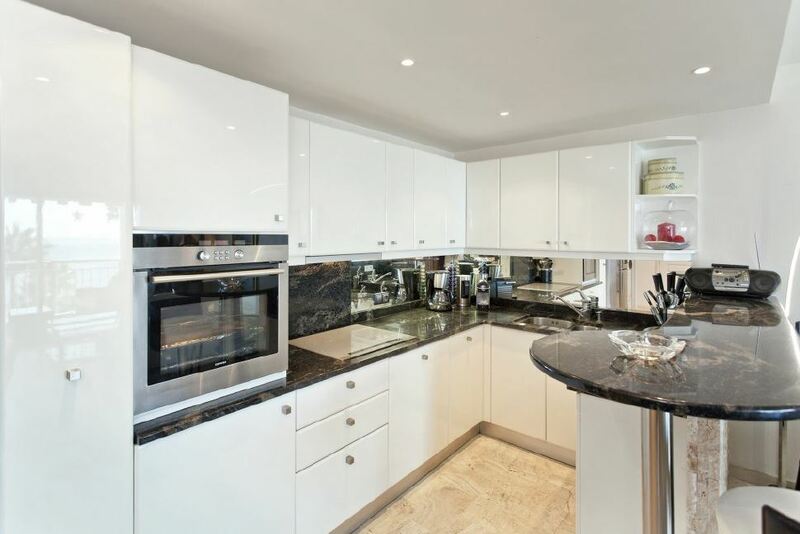 The fully equipped kitchen is of an open plan design and includes a Nespresso machine and a wine cellar. 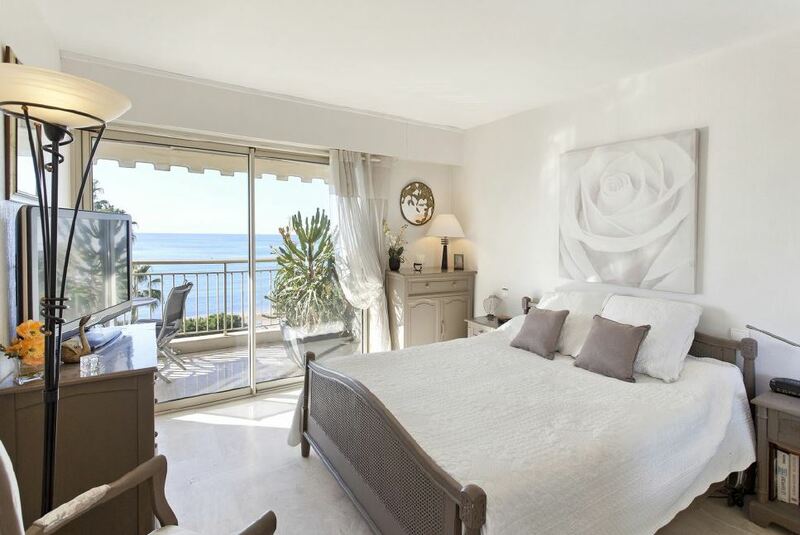 The first double bedroom features an en-suite bathroom with a shower as well as a lovely south-facing terrace. 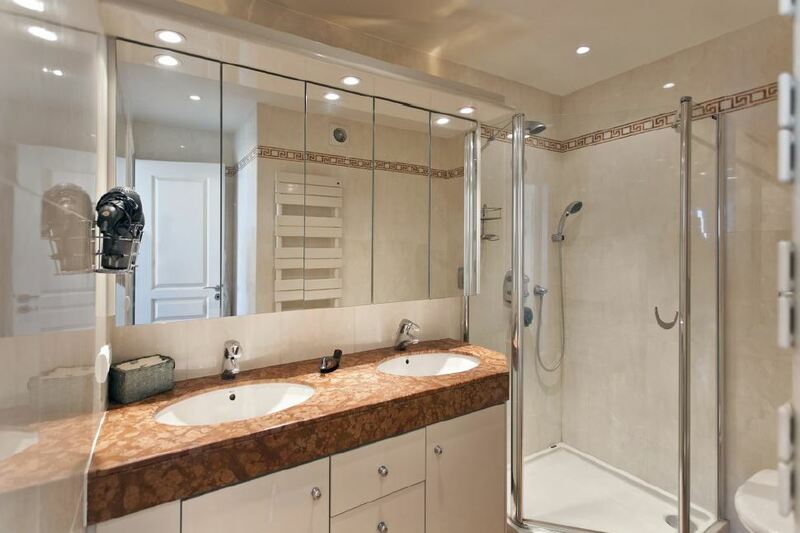 The second double bedroom has its own shower room and also opens onto a terrace.